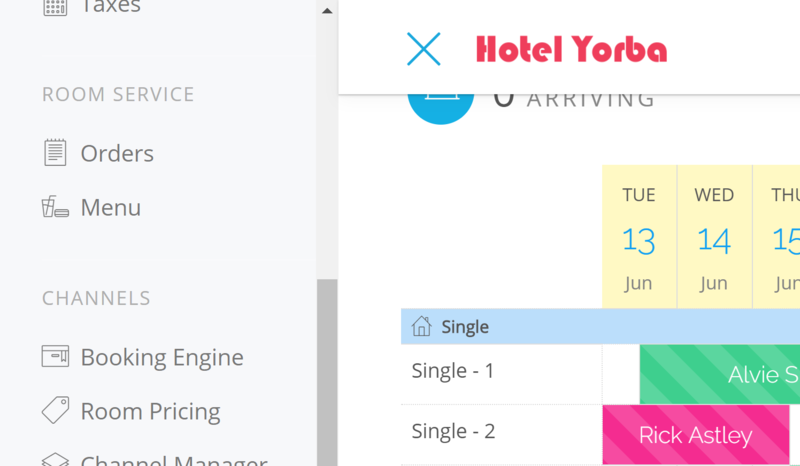 Your booking engine doubles as a guest services portal to help you upsell your services from the moment a new booking is created. Guests are invited to order room service after they check-in, they can communicate with the front desk through an internal messaging system, and they’re encouraged to leave a review of the staff and facilities when they check-out. 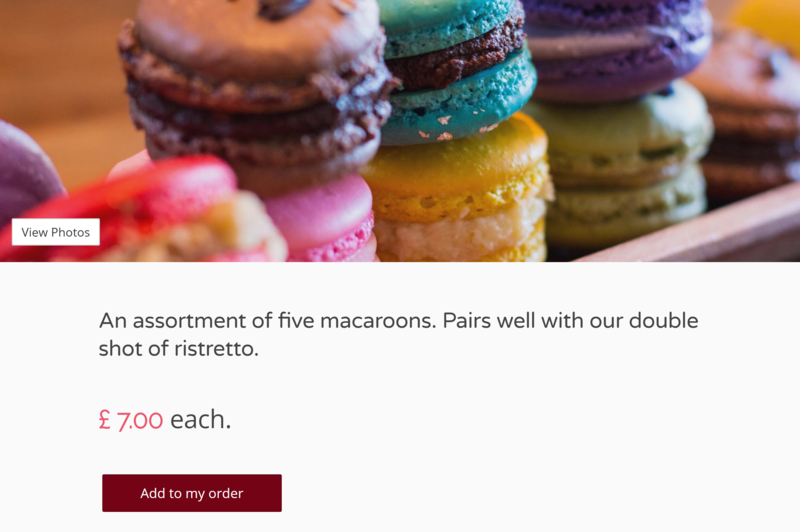 Increase revenue by offering your room service menu through your booking engine. Your guests can view and order items from any phone, tablet or desktop as soon as they check in to their room. 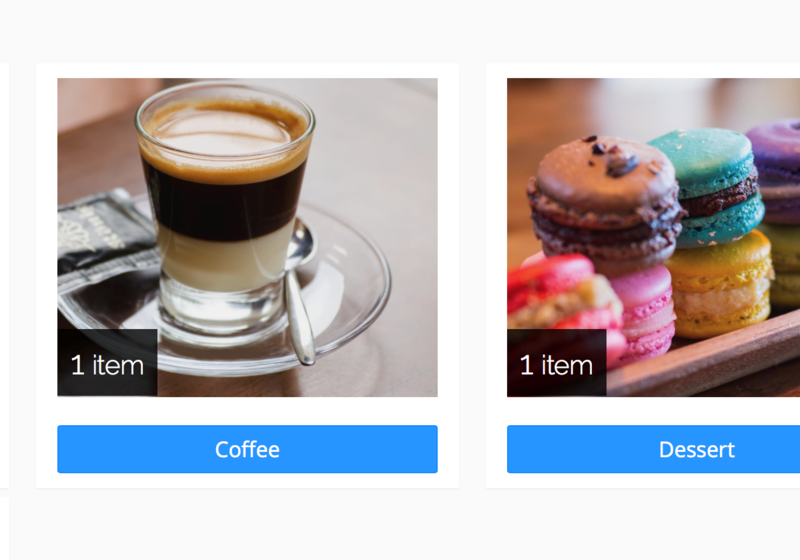 Just add pictures and text, and specify your hours of operation. Your guests will be invited to check out the room service menu when they check in to your hotel. List hotel services like airport shuttles and tours, as well gifts, wines, etc. Improve sales in all areas for your hotel. Staff members designated as kitchen staff are notified when there is a new order to fill. The room service items are added automatically to the guest's room bill when the order is delivered. 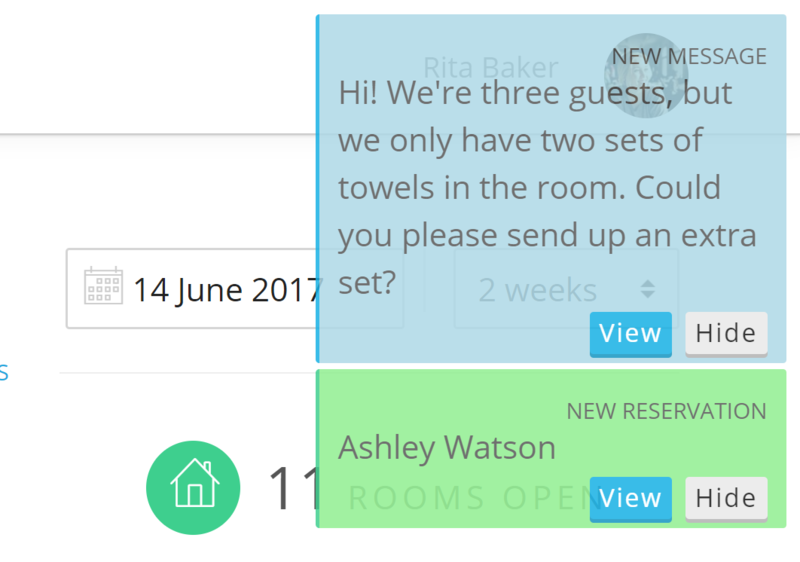 Enable your instant messaging platform to allow guests communicate directly with the front desk without having to pick up the phone. 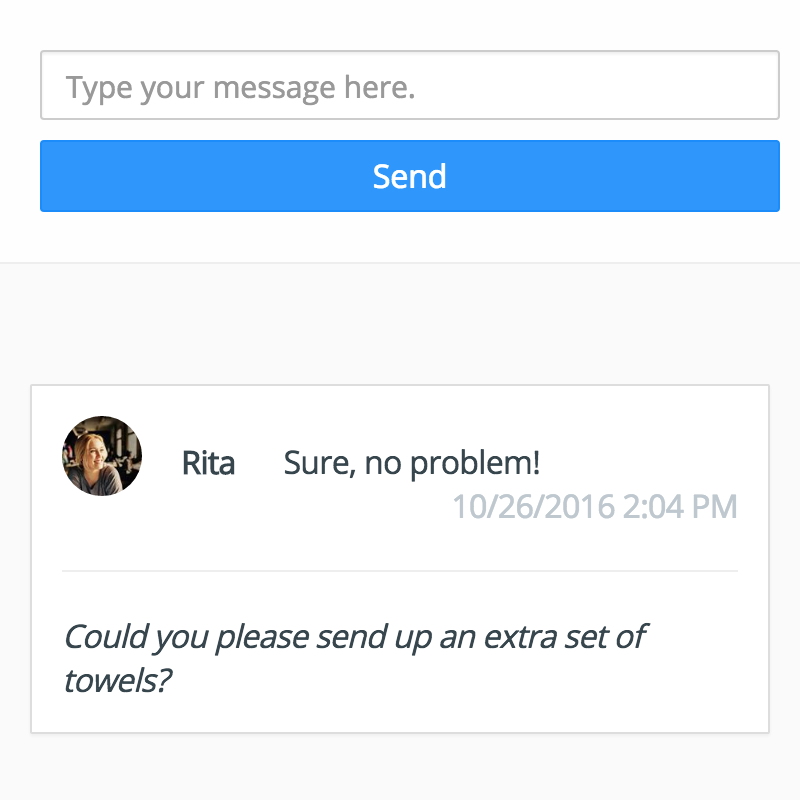 Your guests will appreciate that they can order an extra set of towels or call for a taxi with a text. If you use Chrome, you can communicate with guests who speak any language through auto-translate. 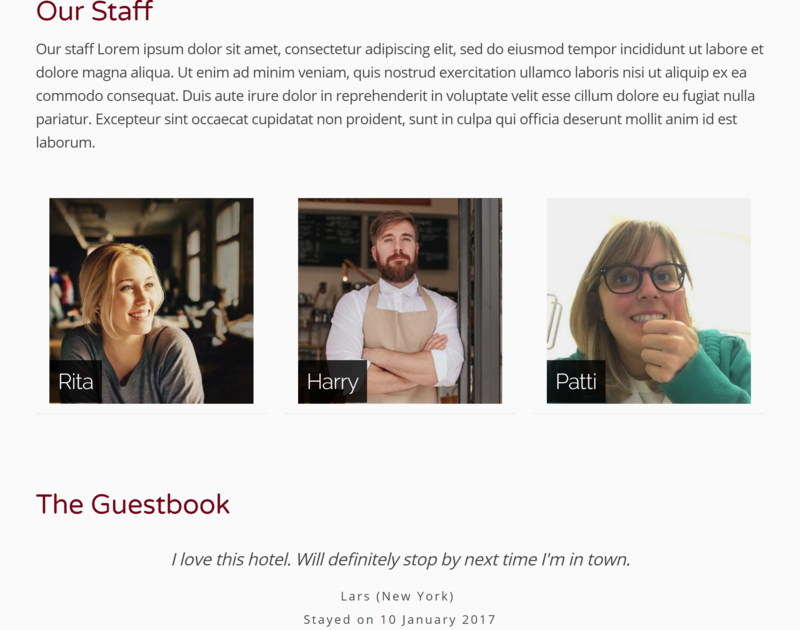 Enable your review engine to allow your staff members and hotel facilities to be reviewed by your guests after they check out. 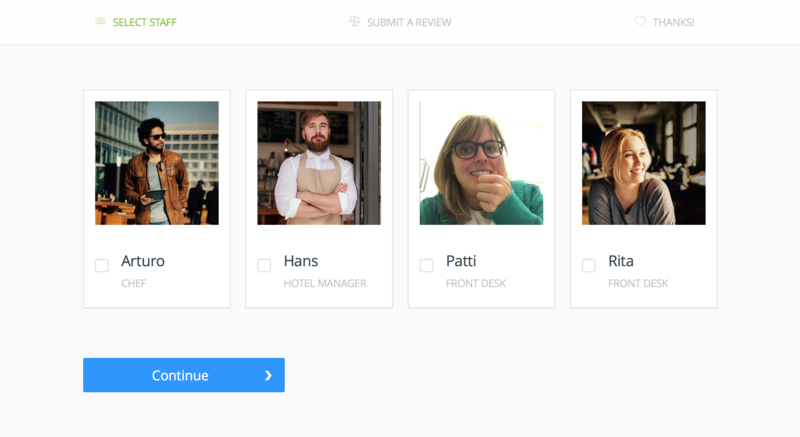 You can enable staff members for review on a case-by case basis. Guests will be invited to leave a review after they have checked out. Hotel owners/managers will receive crucial data on the most important aspect of their hotel: the hospitality. 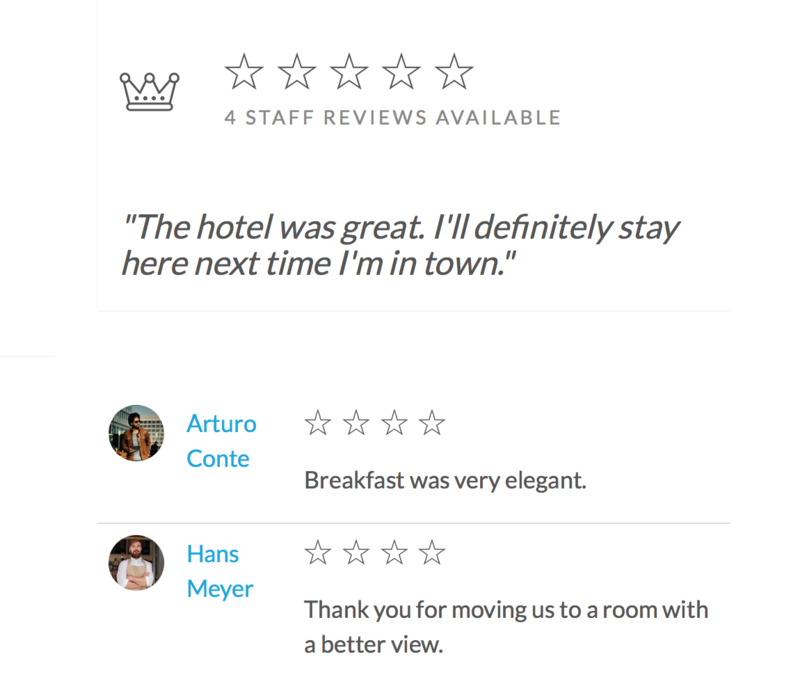 Our platform maintains the connections between the guest, their reservation, who they dealt with in your hotel, and their review, so the hotel manager is never left to piece together the facts.